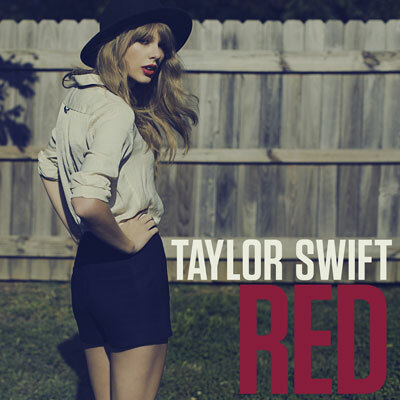 Taylor Swift has done it again with another burning hot single titled Red. Released on October 2, 2012, the song is of course the carrier single of the album of the same title. Known for her country pop taste, Taylor Swift is more likely leaning on the pop scene now. She is slowly throwing away her country palette and every new song she writes and sings is trying to go away with any hints of it. As usual, we get to hear her mumbling singing voice, which is a little cute and nice to listen to. At least now we can be sure that not all of her songs will be directed to many of her love affairs and exes unlike her previous album called Speak Now. This lady is certainly getting bolder and bolder in her craft and her recent collaboration are a little too surprising for us to handle. Seems like this song is a little too familiar for me. Or I am just fed up with this same old brand new song from Taylor? If Begin Again excited me so much, Red is a little too cliche for me. It feels like recycled -- or is it just the fact that I am annoyed today because the song is certainly I could relate with. Maybe this song has touched something sensitive deep within my core. I am not that really bad, am I? What's with the lyrics, "Once you’re already flying through the free fall"? It definitely speaks of the moment when you realize what you are trying to hold on to is not worth it or is not gonna work anymore. And the best way Taylor puts it is for you to gotta let go. Maybe it's really time to do so since the worst thing you could do is nourish a poisonous cretin that would bite you in the end -- the cause of your fall. On another note, we have here some of the confirmed tracks for Taylor Swift's Red album. There are at least seven of them at the moment and we can expect some more in the future until Taylor will share to us the official order and complete track listing of her album. We only have less than twenty days to wait before we can immerse our self with Taylor Swift's new offering of auditory goodness. After already having four albums under her belt Taylor Swift is surely getting better and bolder. Hopefully this new album will break away from her girly-girly image and bring out the rock star in her. But then again, we may still have to wait a few years for that before she finally matures and her music doesn't focus on her love stories anymore.